This is a list of all the reservations that have the status “quote”. A quote is a reservation that is not actually a booking and does not account for availability of the vehicle class selected but rather gives a price indication to the customer so they compare with other rental companies. This is a nice feature as it adds to the user-friendliness of your website for the customer. This page is located under the Car Rental category, highlighted in dark blue in the picture below. When a reservation has reached the confirmation stage (Step 5) during the reservation process. When a reservation has reached the extra stage (Step 3) during the reservation process. When a customer has clicked on the “Book Now” button in the email sent, the reservation has reached the confirmation stage (Step 5) during the reservation process, and the customer has clicked on the green “Confirm Reservation” button. How do I make quotes? When the reservation process reaches Step 3 (Extra), there will be a white “Quote” button highlighted in orange in the picture below. Once you have clicked on the button, two options will appear, “Print Quote” and “Send Quote”. As in the picture below. This function will open a new page with a summary of the reservation which you can print out for yourself or your customer. Using this function will not appear on the quotes table. This function will open a new window where you can type in your name or your customer’s name and email address. After you have clicked on the blue “Send Quote” button in the new window, a summary of the quote will then be sent to the email you have entered in. Using this function a new item will appear on the quotes table as “Email Sent”. You can then track whether the email has been opened or clicked on using the “Email Sent” log which you can learn more about here. In the email, the summary of the reservation is attached as a pdf document. You can customize the email template by heading to Settings > Car Rental > Emails > Quotes. There will also be a button “Book Now” that the customer can use to continue their booking. If the customer clicks on the “Book Now” button, the status of the quote will then be changed to “Started”. Once the customer reaches Step 5 of the reservation process (Confirm) and clicks on the green “Confirm Reservation” button highlighted in orange in the picture below, the status in the quotes table will be changed to “Completed”. Firstly, navigate to Settings > Car Rental as shown in the picture below highlighted in dark blue. Here, navigate to the Quote section as highlighted in orange in the picture below. There are seven settings under the Quotes section that you can change. These settings are listed, and explained below. When this is set to “Yes” a new option “Quote Builder” will appear highlighted in orange in the picture below. 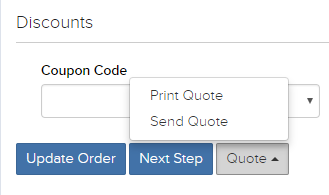 Clicking on this will open up a new page where you can create your quote section that your customers will see when then print or send a quote. This setting will hide the quote module completely from both internal and public reservations. This setting will only hide quotes from being able to be made from public reservations done on your website. This setting will stop your customers from being able to print out a quote from your website however, they can still send themselves a quote through their email. This does not affect internal reservations. This setting will stop your staff from being able to print out a quote from your system however, they can still send the customer a quote through their email. This does not affect public reservations from your website. This will make the additional charges that you select there a requirement before they can proceed to Step 5. You can hover over the “?” button to learn more about this setting. This setting will automatically expire the quotes made after a certain number of hours which you input in this field here.